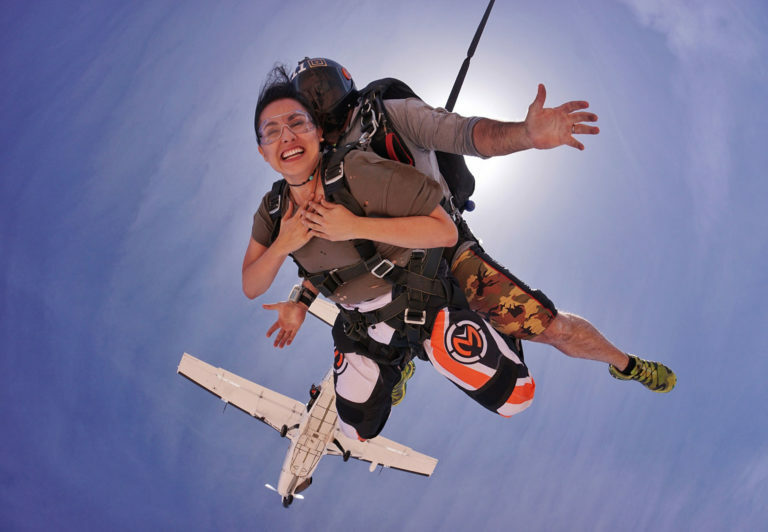 ARE YOU READY TO MAKE YOUR FIRST SKYDIVE?? 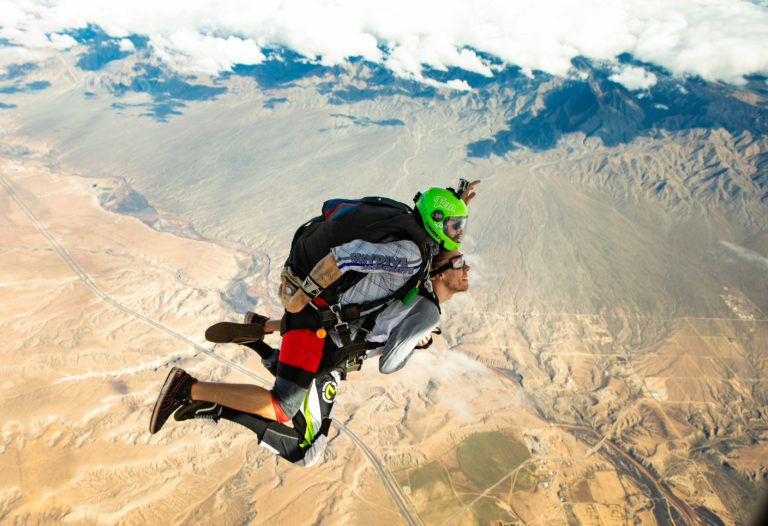 Now that you’ve made the decision to skydive you probably want more information about skydiving. With today’s technology skydiving has become safer then it was several years ago. 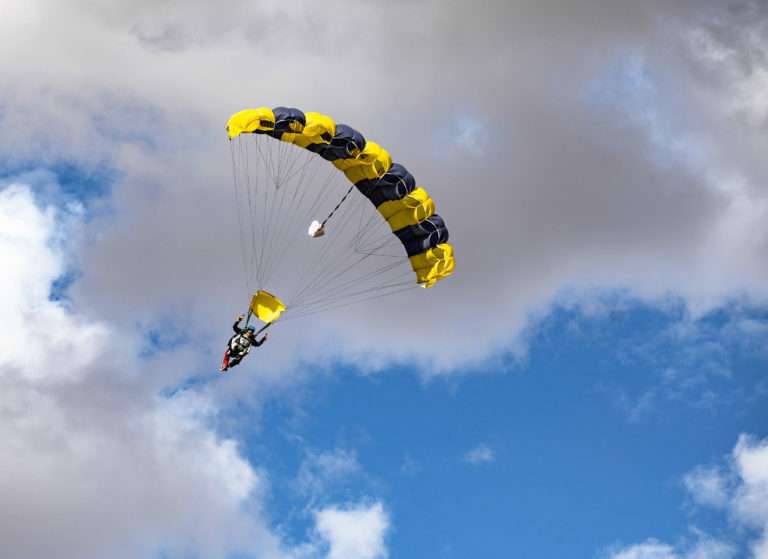 Now, there is the opportunity for a certified tandem instructor to take a passenger on his or her first skydive after only a few minutes of instruction. How is this possible? Simple, the instructor will teach you the correct body position to safely fall through the sky. Why jump alone your first time when you can have an experienced and certified tandem instructor with you during your entire experience? 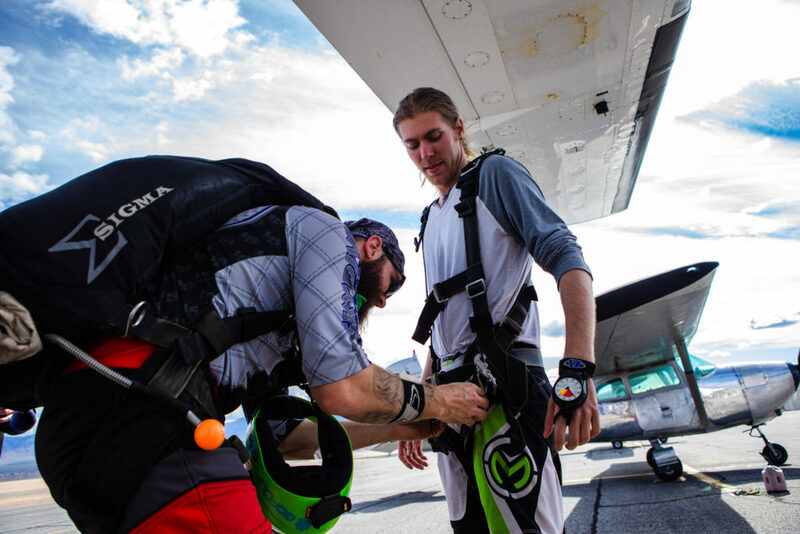 You’ll be fitted with a tandem harness system that will attach you to your instructor. 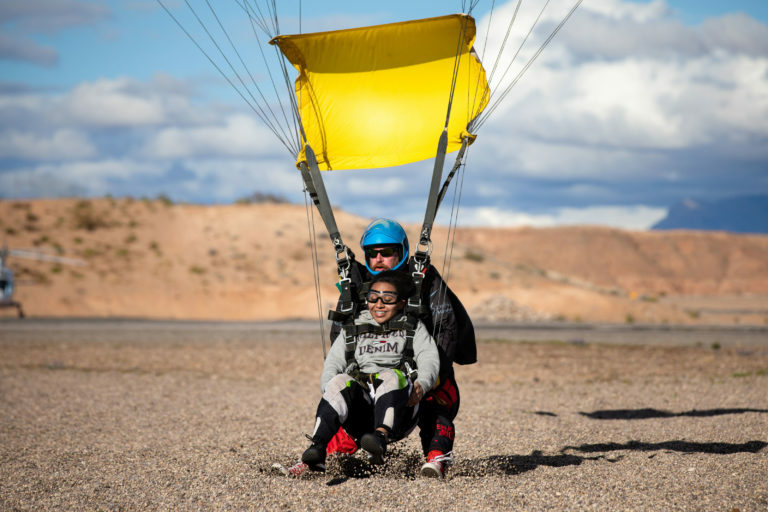 You’ll enjoy a scenic 15-minute flight up to 13,000 feet above the ground. After leaving the plane and falling through the sky at 120 miles per hour for approximately fifty seconds, it’s time to deploy your parachute. Once under canopy your instructor will guide you through flying and landing the canopy safely on the ground where your friends and/or family will be waiting for you.